To a great extent, the overall interior design of your house is determined by the type of floor you’ve put in. In fact, you ought to start by designing the floor before you even think of other elements of your interior décor. For centuries, most architects have relied on marble to create luxurious floors. Fortunately, this stone is ideal for an extensive array of applications including homes, commercial spaces, and even public amenities. 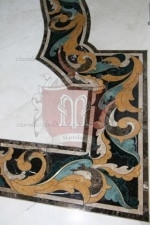 Whether you are building a new house or renovating an old one, a luxury custom design marble floor border does wonders. This stone has the ability to transform a rather plain room into a luxurious space. All you need is a designer who has a special eye for detail. 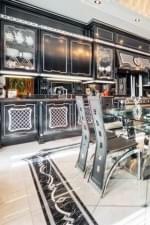 Another thing that gives luxury custom design marble floor borders an upper hand is their ability to define different precincts and create contrasts at the edge line. In a situation where each room demands a special interior décor, you have a wide range of marble floor border designs and colors to choose from. 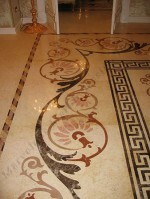 Therefore, you don’t need to change your walls and other interior elements when placing a marble floor border. But you have to ensure colors and patterns match. Let style and quality define who you are. When visitors enter your house, they should immediately tell your taste and style by simply looking at the design of your floor. Besides, the human eye has a tendency to appreciate natural beauty. Marble floors are natural and never lose their luster irrespective of the kind of traffic they are exposed to. Your luxury custom design marble floor border will therefore remain intact through the ages, thus giving you peace of mind and saving you money. Marble floors have been in use for hundreds of years and up to now they still grace places of the high and mighty. They are a sign of quality, timelessness, and uniqueness- qualities that every property owner yearns for. Unlike other building materials marble allows you to customize your floor, giving you the liberty put in your preferred interior design. 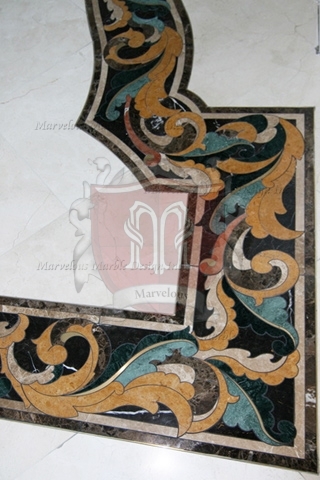 A luxury custom design marble floor border is considered a perennial elegant choice for most spaces as it can easily blend in with other existing designs. Its natural magnificence and unique features last for centuries. Modern architects are now using these marble floor borders for exterior designs and the experience has been rewarding, if not exciting.